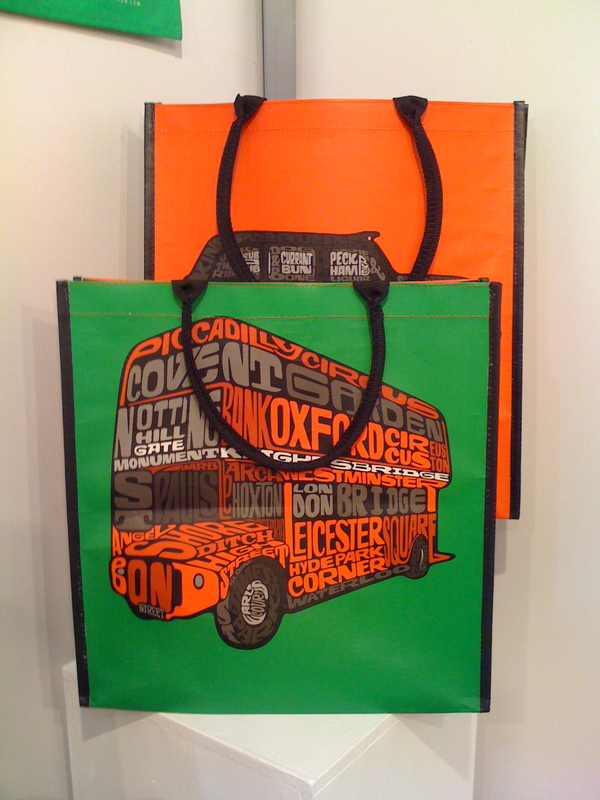 Visit London – Licensing Awards 2011 finalist! Turns out that the Visit London range that I worked on for Half Moon Bay last year was a finalist in this year’s Licensing Awards – how marvellous!! 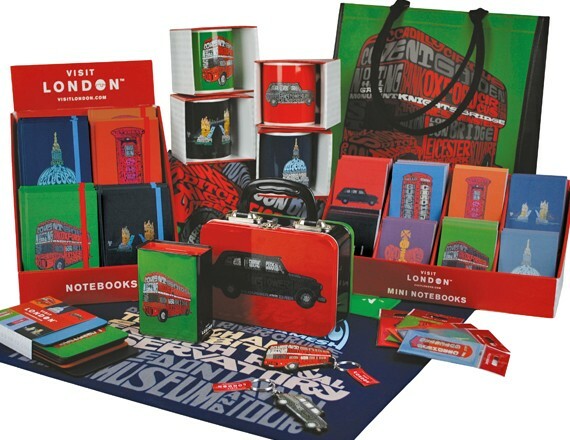 The products I worked on included giftware, stationery and apparel for the “Official London Merchandise”. The brand was included in the Best Licensed Giftware category. It didn’t actually win the award, but that is a technicality – pipped to the post by ‘Nerdy’ Hello Kitty (how very dare she!). You can see the full range of product here. 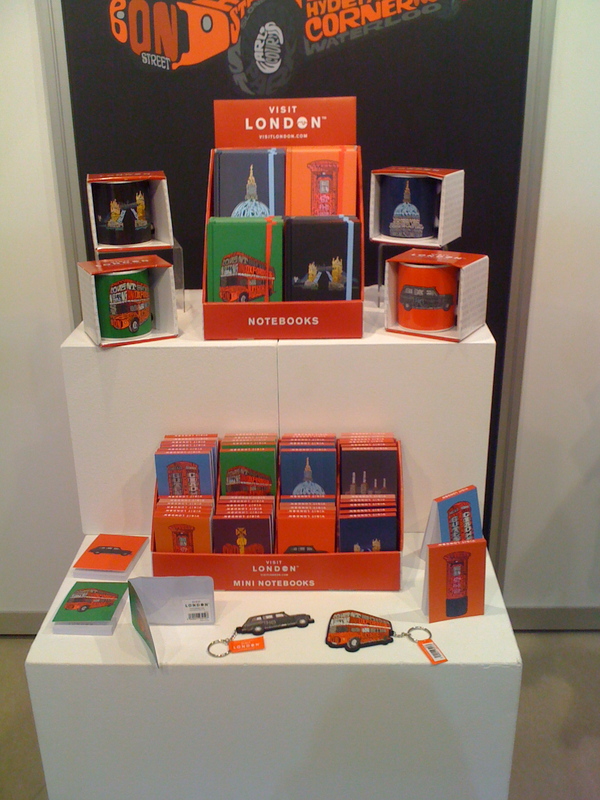 Had a happy find on the Half Moon Bay stand where they were displaying their new range of Visit London products that I worked on for them last year. The full range of product can be seen on their website here. I worked from style guides to design all the product and got it ready for print (bar the t-shirts) and developed the final packaging style. 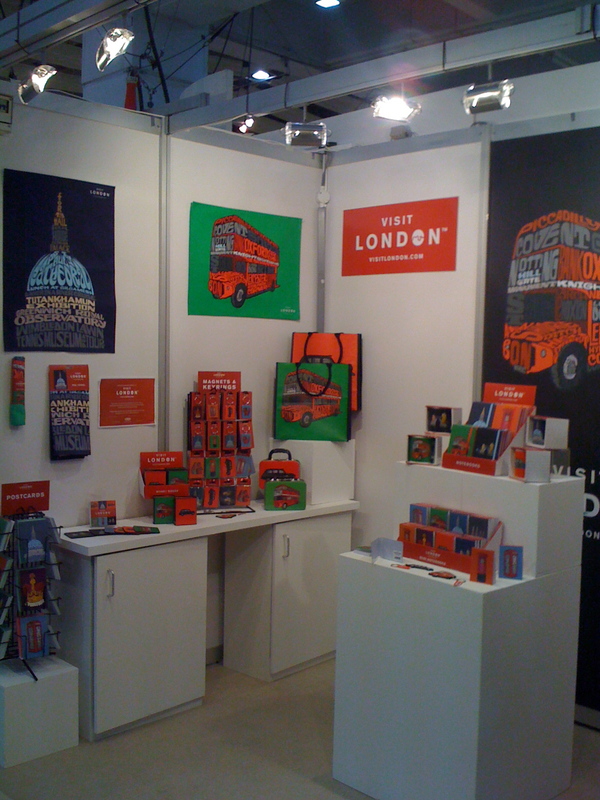 I was really chuffed with how it all looked on the stand – can’t wait to see some selling in the shops soon!